What Is Cloud Computing? Why Should You Care? 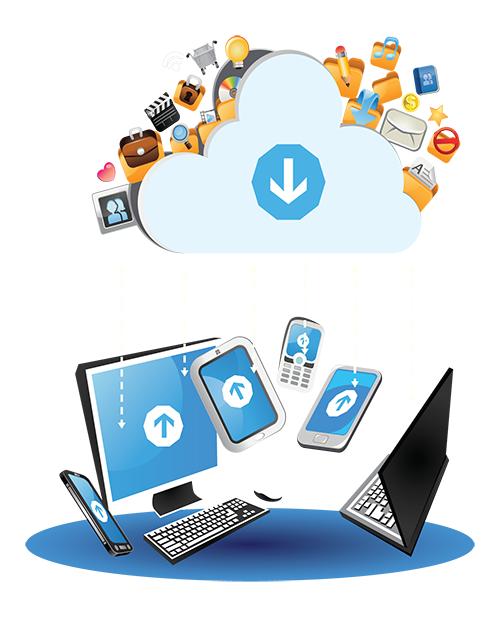 Many of our clients have been asking about Cloud Computing. Many are confused by what it means and want to know if Cloud Computing is something they should incorporate into their business. It’s confusing because there is no commonly accepted technical definition for Cloud Computing. It’s really just a jargon term commonly used to describe the recent trend for businesses to move some (or all) of their computer data and applications from their on-premise servers to servers hosted by large data centers out in ‘The Cloud’. One example is Microsoft’s Office 365 subscription service. Office 365 hosts business e-mail, shared documents, calendars, contacts, and much more on their servers out in ‘The Cloud’. Users can easily access their Outlook data and Office applications from anywhere on just about any device (i.e. PC, smartphone, iPad, laptop, MAC, etc.). Eliminates the need for costly server applications and hardware. A good example is eliminating a Microsoft Exchange mail server. Only pay for what you need and use. 5 Critical Facts Every Business Owner Must Know Before Moving to the Cloud. Just complete the form above to get instant access to this valuable report. If you think your business might be a good fit for Cloud Services, also check the box on the form to request a Free Cloud Readiness Assessment and one of our engineers will contact you.